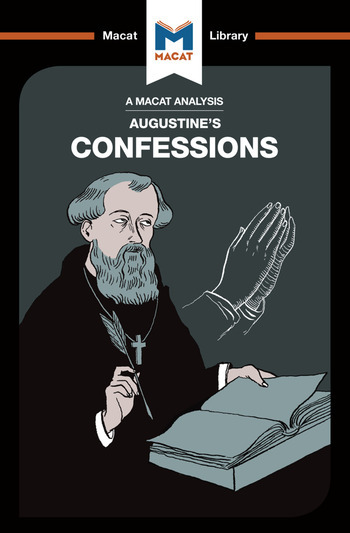 St. Augustine’s Confessions is one of the most important works in the history of literature and Christian thought. Written around 397, when Augustine was the Christian bishop of Hippo (in modern-day Algeria), the Confessions were designed both to spiritually educate those who already shared Augustine’s faith, and to convert those who did not. Augustine did this through the original maneuver of writing what is now recognized as being the first Western autobiography – letting readers share in his own experiences of youth, sin, and eventual conversion. The Confessions are a perfect example of using reasoning to subtly bring readers around to a particular point of view – with Augustine inviting them to accompany him on his own spiritual journey towards God so they could make their own conversion. Carefully structured, the Confessions run from describing the first 43 years of Augustine’s life in North Africa and Italy, to discussing the nature of memory, before moving on to analyzing the Bible itself. In order, the sections form a carefully structured argument, moving from the personal to the philosophical to the contemplative. In the hundreds of years since they were first published, they have persuaded hundreds of thousands of readers to recognize towards the same God that Augustine himself worshipped. Dr Jonathan Teubner holds a PhD in intellectual history from the University of Cambridge, focusing on the reception of St Augustine. He is currently Associate Director of the Initiative on Religion, Politics and Conflict at the University of Virginia.